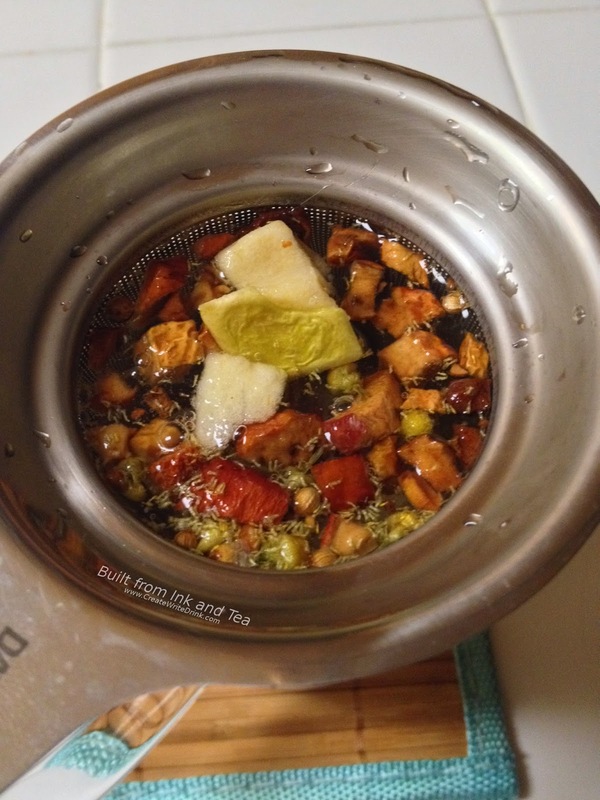 As a bit of a deviation from the teas I have been reviewing lately, this week I picked one of my current favorite dessert "teas": Apple Custard by DavidsTea. Without any additives, I found it to be perfectly sweet and satisfying. Plus, the lack of caffeine meant that this drink could be consumed as close to sleep-time as I wanted without any adverse affects. You heard right - no caffeine! 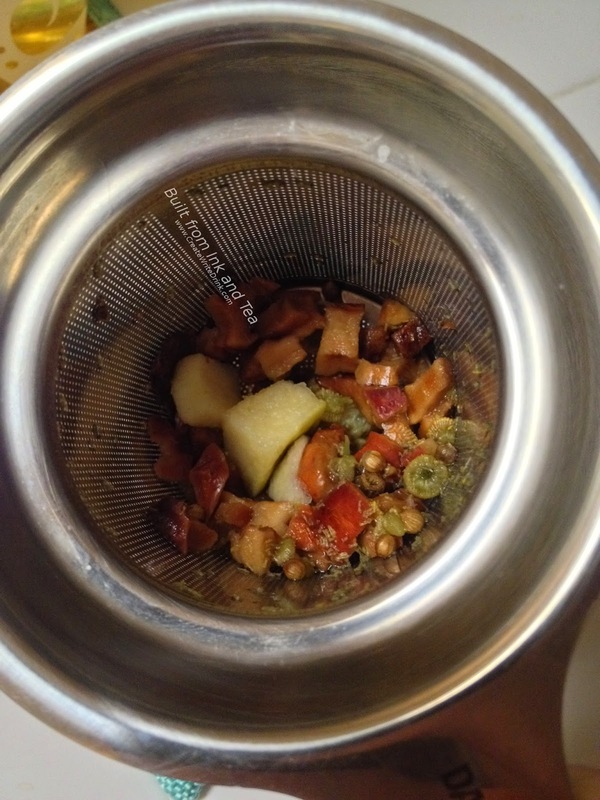 Apple Custard is actually an herbal blend, primarily composed of apples, raisins, chamomile, and vanilla flavoring. It sounds like quite the sensory experience, and I certainly find it to be so. Just smelling the dry mixture, it is almost overwhelming to me. The vanilla smells incredibly strong and, with the apple, creates an almost cloying aroma. However, that is in the bag alone. The soft scents of chamomile are not at all noticeable to me in the dry blend, but hints of the sweetness of raisins can be detected. As I continued to appreciate the aroma, I went ahead and prepared a cup of Apple Custard. The directions suggested four to seven minutes of steep time, so I set a timer for seven minutes and actually allowed the blend to steep a bit longer than that. The result: deliciousness. Still incredibly sweet, but not cloying, the aroma now displays the fruit scents much more prominently. Taking a sip, I immediately agree - they definitely got the custard flavor right (and apple custard, no less). The apple provides a bit of a tartness, which is immediately offset by the sweetness. Thankfully, the sweet flavors are not at all cloying or overwhelming. Whereas the apple notes are high and light, the flavor of raisins underscores the taste and gives a good, solid, fruit foundation. Due to my preferences in hot beverages, I rarely get this excited about herbal blends, typically preferring actual teas. 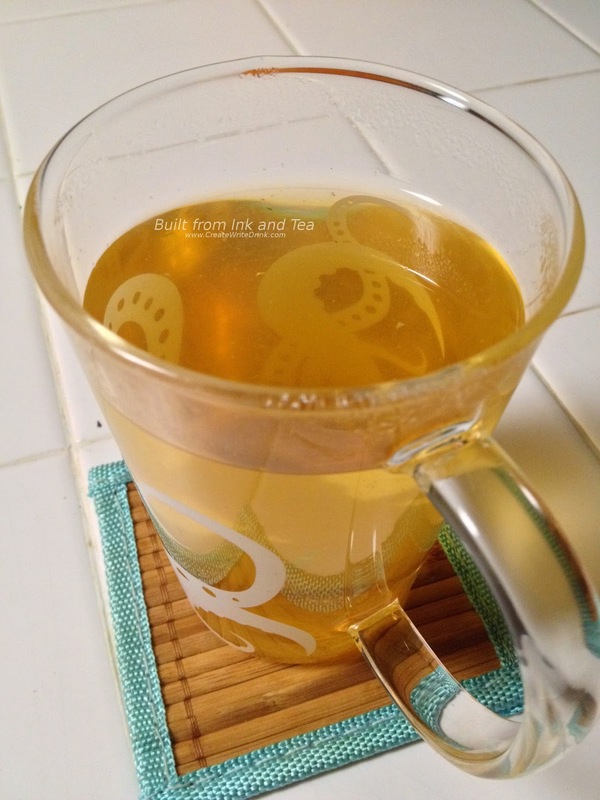 This especially holds true when the blend tastes as sweet as Apple Custard does. Nonetheless, I have quite enjoyed this, and I would rate it a 93/100 on my personal enjoyment scale. 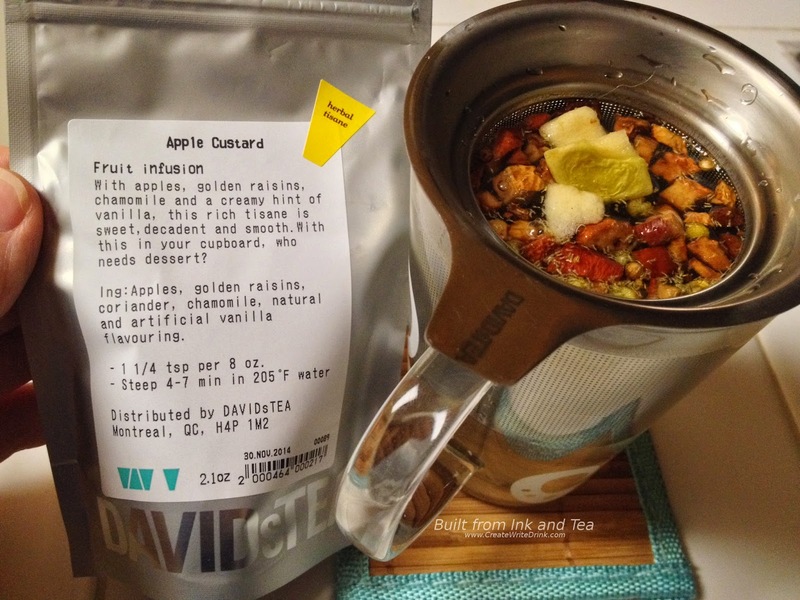 DavidsTea's Apple Custard is available for purchase from their website, here.